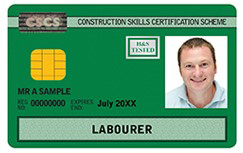 You will achieve a BTEC Level 1 Certificate in Construction with an additional Workskills Unit. Construction is one of the UK’s fastest growing industries and thanks to the range of projects going on at any one time, it’s also one of the most challenging and exciting to work in. Why not start that journey today? We have a variety of opportunities available for you once you have finished the course. Thanks to our links with local employers and recruitment companies our conversion from course to job currently stands at 76%. Book your place on our Induction day.